After two months of political uncertainty, the current de facto Libyan leaders have named a temporary ministerial Cabinet that is to govern the country until it is fully secured. ­Another temporary government will be named within a month after that, with the main task of setting up elections for a national congress within eight months following the end of all fighting. 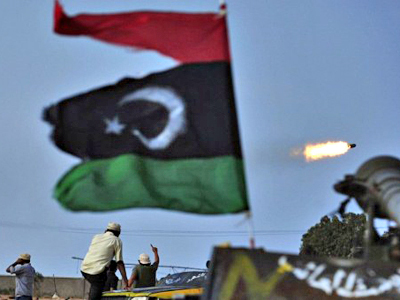 The congress, in turn, will draft a new Libyan constitution, subject to approval by a referendum. After the constitution is approved, parliamentary and presidential elections will follow 12 months later. The composition of the current temporary government contains few surprises, with the head of the National Transitional Council, Mustafa Abdul-Jalil, and the de facto prime minister, Mahmoud Jibril, staying at their posts. Jibril also takes on the role of foreign minister. US-educated economist Ali al-Tarhouni is to stay on as acting oil minister, while Abdullah Shammiyah will be in charge of the economy. Hamza Abu Fas will become the new minister of religious affairs, and a new minister for Libyans killed and wounded, Abdel-Rahman al-Keissah, will be introduced to the Cabinet. The precondition for full security (and the end of his government’s tenure), as stated by Abdul-Jalil, is the capture of Sirte, former Libyan leader Muammar Gaddafi’s hometown on the Mediterranean coast. 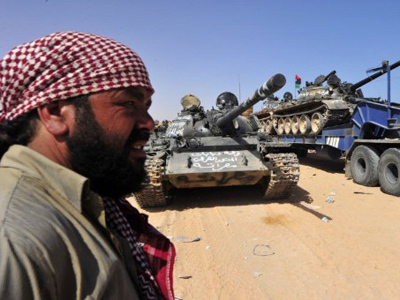 According to Abdul-Jalil, capturing the loyalist holdout would ensure the security of Libya’s borders. Both he and Jibril have pledged not to take part in any future government, regardless of its composition. Other ministers have not followed suit, and may take part in future governments. The end of all fighting, which Abdul-Jalil called imperative for proper elections, may also imply capturing other pro-Gaddafi strongholds, including Bani Walid and pockets in the southern desert. However, at the moment they are not of primary concern, as they are landlocked and do not pose a threat to Libya's borders, Abdul-Jalil explained. 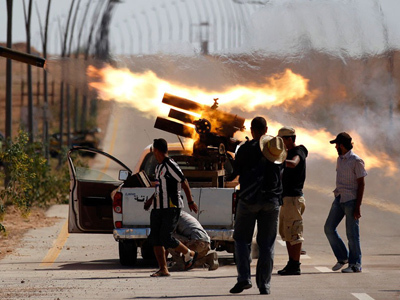 Apart from security, the Jalil-Jibril government is left with tough tasks like creating jobs and income for fellow Libyans, as well as investigating allegations of human-rights violations during the seven-month uprising against Gaddafi’s rule. They might also be tasked with determining the fate of Muammar Gaddafi himself (still missing at the moment), should he be found during their tenure. Meanwhile, stockpiles of weapons left up for grabs by the collapse of Gaddafi’s army still remain among the main problems on the new Cabinet’s agenda, NATO Secretary General Anders Fogh Rasmussen stated on Monday. 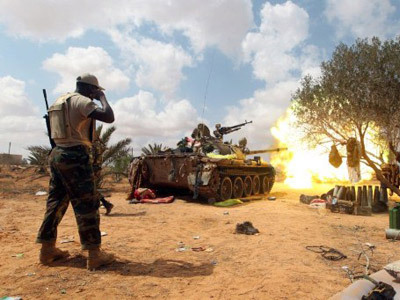 A decision about the future of NATO’s operation in Libya will be taken at the alliance’s October 6 meeting in Brussels. At the moment, NATO considers its aims in the country largely fulfilled. 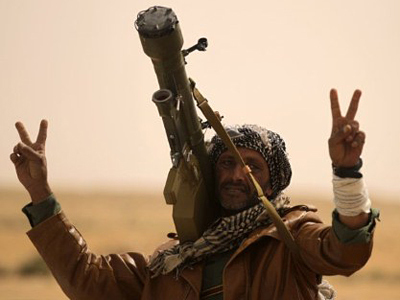 Missing Libyan missiles a threat to civilian aircraft?